Innovative crowdsourcing approach enabled yacht manufacturer to quickly replace inadequate deck vent by hosting an engineering competition. Saare Yachts, a luxury yacht builder, was a nominee for European Yacht of the Year 2009/2010. Their craftsmen’s skills are employed creating an ensemble of the best of time-tested composite materials and components supplied by well-known manufacturers. The minds behind Saare Yachts are Karl-Johan Stråhlmann, a renowned Finnish designer, Stig Nordblad, founder of Finngulf Yachts, and Saare’s own CEO Peeter Saask. Karl-Johan Stråhlmann’s vast experience translates into well-balanced cruisers that are a pleasure to sail even with limited crew. 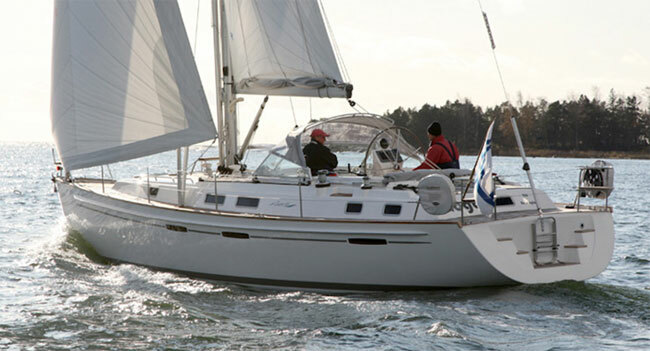 Saare yachts are spacious and safe while also capable of dashing across water at racing speed. Deck vent lets the fresh air into the yacht’s cabin to keep the humidity levels inside and outside as even as possible. The vents previously used by Saare Yachts had a few problems – a threaded system is not optimal as the dirt and salty sea water can enter the thread, making the adjustment of the vent difficult or impossible. 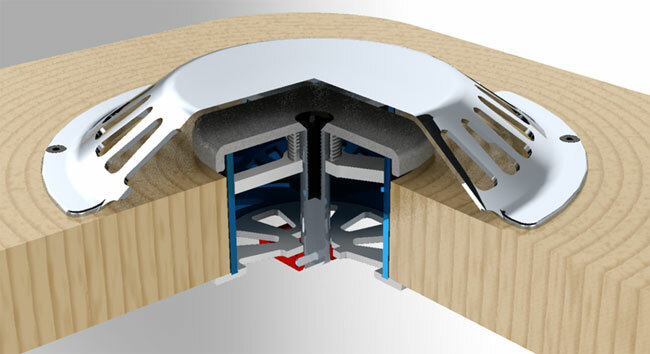 The threaded system is also not user-friendly as it can take 10 turns of the knob to fully close the vent. There is nothing to indicate whether the vent is open or closed. In addition to that, Saare Yachts wanted to see material alternative to stainless steel.The challenge was to design and engineer a deck vent solution that works both when the sailboat is docked in the harbor and also when dashing through the sea. The ventilator must be easily adjustable to let in as much or as little air as the crew wishes, must operate smoothly despite saltwater and dirt interference, must have a visual indication that shows how open or closed the vent currently is, and must be extremely low maintenance. Saare Yacht discovered GrabCAD – a mechanical engineering community with over80,000 members who collaborate and compete in engineering competitions. Among these 80,000 there are few thousand marine engineers scattered around the globe. GrabCAD frequently posts competitions to challenge it’s community hence the framework was in place to help Saare Yachts. GrabCAD and Saare Yachts choose a 12 days deadline for the 80,000+ engineers and offered a prize of 2000 USD to the engineer(s) of the winning design. The rules of the competition were crafted to enable creative approach for the engineers while ensuring that the models would aesthetically and technically match the Saare Yachts. 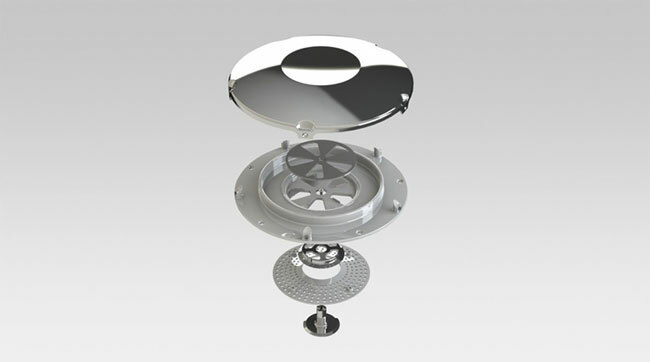 Measurements and characteristics of the existing vent were provided as a reference. Engineers submitted 94 entries within 12 days. The resulting designs exceeded all expectations, and Saare Yachts retained all rights to the intellectual property (IP). A robust and foolproof closing mechanism isone of the most compelling design elements in Tanel Valja’s design and among the main reasons why this design won the competition. Simple,elegant design, few parts, novel approach to the closing system – it was all there. 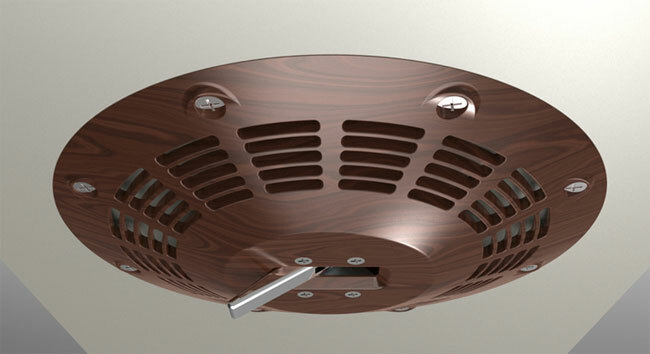 Sleek design and simple construction helped Ross’s UFO vent grab the 2nd place title. Many engineers thought this was the best looking vent in the competition – With a few modifications Ross’s UFO vent could have been the winner! With a beautifully crafted closing mechanism, a simple design, and a small number of parts lifted Jonathan’s design to a respected 3rd place. The competition, hosted online through GrabCAD, proved an innovative, funand inexpensive way for Saare Yachts to tackle this engineering problem. The competition produced 94 creative solutionsin less than two weeks.Although there was only one winning design, engineers at Saare Yachts drew inspiration from all entries and were thankful for the time and brainstorming saved by using GrabCAD to host this engineering competition. Without a time consuming and complex setup process, it was easy for Saare Yachts to describe the task and launch the engineering challenge because GrabCAD already had an operating framework for running crowdsourcing projects. The contest produced many creative solutions which the company’s own engineers had not thought of before. Engineers on GrabCAD exceeded exprectations andthe rapid outcome gave the engineers at Saare Yachts momentum to carry on with the great yacht engineering they are so very excellent at. About the authour: Lauri Poldre is the sales director of GrabCAD, which is a community of over 80,000 members founded by mechanical engineers. It is also a place for engineers to share their talent, expand knowledge, find a dream project and work with tools and features that make life better.